Well, hello there! I feel like I've started too many blog posts lately by saying 'long time, no see', so let's forget the fact that I haven't posted in a while and just kick off this post. As you'll have seen by the title, it's a gratitude list! I used to make a habit of posting one of these a month until I kind of stopped doing them last year. However, I really found that sitting down and looking back over the month to choose five happy bits was really therapeutic, so I'm hoping to keep this little series going this year. 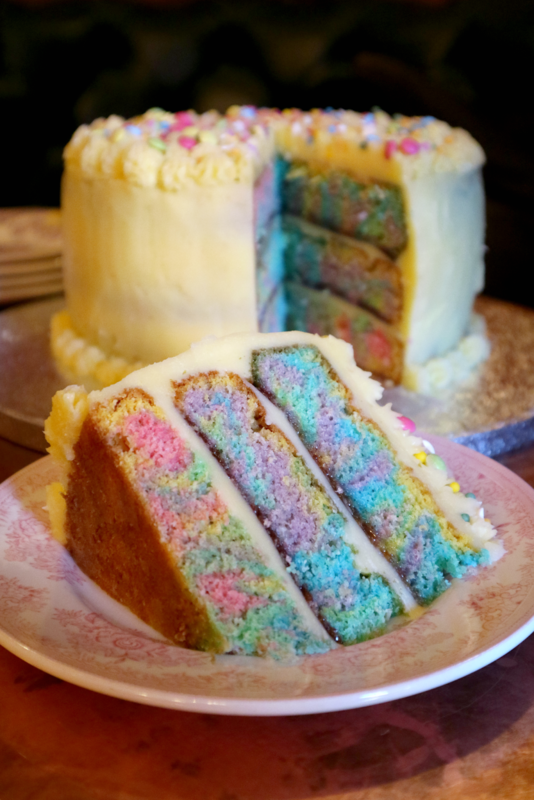 Also, I have no recent photos of myself to put as the header image of this post, so please just enjoy the cake that I made for my sister's birthday instead. As always, January was long, but I feel like this January was the quickest I can remember. I can't quite put my finger on why though. I started the month with this new found energy after the last few months of 2018 drained me of any sort of emotions, and I got the ball rolling. Yes, there were quite sad and horrible bits to the month, and I'll touch on them a little bit, but as always, this list is about the positives! Job opportunities - I have been so open on The Northernist and my socials about being unemployed, and the response I've had from talking about it has been amazing. I'll admit, I was so nervous at first to even mention that I was unemployed because there's such a stigma attached to that word, but everyone has been lovely, so supportive and proud of me for talking about an important topic. Well, ladies and gents, I'm quite pleased to say that a new job is in sight. I don't want to confirm anything just yet, but be prepared for a proper job update post in the very near future. Taking a break from Twitter - it's funny when you feel like you need to take a break from the thing that you'd like to have a career in, but I realised that I was spending far too much time just mindlessly scrolling on Twitter (and social media in general, really). That's the platform that I was living for and where I felt I "fit in" the most. But in January, I decided to reduce how much time I was spending on there and how much I was sharing. I still posted the odd thing, but going forward, I think I want to keep some things for myself and only share things that I think will resonate with other people. Don't worry, I'll still be retweeting dog videos every now and then! Re-connecting with Alex - brace yourselves for mush. Seriously, if you object to any sort of PDA, close this post now. Our relationship has always been lovely and we've both always said that we have this deep connection with each other, but it has definitely always felt a bit one-sided, and I know Alex will agree (I know you're reading this!). Towards the end of the month, though, we had a sort 'falling in love' moment all over again. It's strange how going through something difficult and sad can really bring you together, because on one hand, the experience is negative, but on the other, it's positive because of how much stronger it has made you as a team. We have such a clear understanding of each other and know how to support one another effectively. I feel certain that this is my guy and I'm sickeningly in love right now. Sorry! Recovering from my ankle injury - I haven't talked in depth about my injury on my blog, but I've touched on it a few times (if you scroll through this post, you'll be able to find out a bit about it). But to cut a long story short, way back in early November, I severely tore a ligament in my right ankle and it was completely debilitating. My whole foot and lower leg was swollen for weeks, I couldn't walk at all and often needed help with minor things, like getting out of the bath, getting dressed and getting in the car. It honestly felt like I was never going to get back to the way I was again, but fast forward to January, I've been having regular physio sessions (I'm praying that today, the day of posting, is my last session) and I can finally walk again. Granted, I can't walk very fast, for a long amount of time or in heels, but I can walk and it feels so good to have that freedom back. Next up... driving! Taking a little break in York - I love the city of York, but I've never stayed there, so when Alex received tickets to see Dave Gorman for Christmas, I thought we should make a night of it. We stayed in a weird little guest house, which we definitely won't be returning to any time soon, and had the loveliest tea in Wildwood. I mean, hoisin duck pizza? What genius thought of that? Dave Gorman was brilliant and it was the first time I'd ever actually been to a comedy show. We spent the next day wandering about in the city and trying to find me a blazer before getting the train home. We didn't try to pack in a load of sightseeing or tourist type of things because we both just wanted a relaxed break, and that's exactly what we got. So there's just a little snippet of how January was for me. It's been a bit of a month of change and I'm not upset about that. I have high hopes for this year and the last month has been a really great start, so I have everything crossed that I can keep this energy up! Let me know your best bits about January!